You have a grant that you want to apply for and submit an application. First, check out the types of grants available and our checklist to ensure your organization is ready before jumping into the grant writing process. Okay, now it’s time to start writing your grant! 1. Research: Spend time getting informed and researching grant opportunities. There are millions of dollars available through grants, and it can feel like a full-time job just trying to find them all! The purpose of the research step is to identify all of the potential funders who align with your organization’s mission and purpose. Trade Associations where Foundations are members. In Indiana, we have the the Indiana Philanthropy Alliance. There are similar trade associations in other states. Within your organization’s area of expertise, there are “intermediary” organizations that are current with the latest news. Regularly check out those organization’s websites, sign up for newsletters, and monitor who is doing what or trends in the industry. They often will promote grant opportunities for your industry! 2. Monitor Grants: Once you have identified your “affinity” funders, create a list of those possible funders. In today’s information age, you can find out a lot about funders by monitoring their internet footprint. We recommend subscribing to funders’ social media channels and signing up for their newsletters. 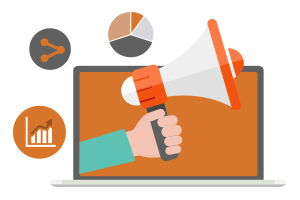 This will help you receive information about grant updates (e.g., changes in grant focus or new application information), receive updates about the status of programs, and be informed about their latest news. This will help provide great context to writing your proposals and developing a partnership with the funder. 3. 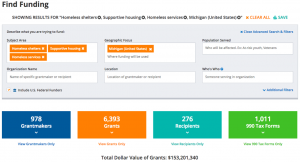 Track Grants: You can pay for grant tracking software, invest in an internal database, or use basic Excel or Google sheets to track grants. We suggest tracking important information, such as the funder, their focus area(s), timeline for when grants are due, the point of contact, and any application details. As you start to do outreach with funders and submit applications, you will want to track your grant application outreach. For example, you would include notes about who you talked to and their feedback. When you submit an application, include the focus area, amount requested, and status. Having all of this information included in a shared system helps to keep your team on the same page and also creates a record history for future staff or contractors. 4. Develop Relationships: Most funders look to their grantees as a partner and extension of their mission. When working to develop a grant proposal to a funder, you want to first have a relationship with that funder. You can do this through a personal connection, social media outreach, cold calling, a letter of inquiry or by networking at different community groups and meetings. When looking to build relationships, we suggest focusing on the “program officer”. Program officers oversee a “portfolio” of programs usually in a focus area, such as youth, environment, safety, etc. A program officer for a government entity would “manage” a grant program. At a minimum give them a call and schedule a meeting to learn more about their focus areas and goals as well as share about your organization and possible areas of alignment. Some next steps might be to invite the program officer(s) to an organization event to observe your services in action or learn about them. We liken this engagement to “dating” – a period of getting to know each other to see if there is a good fit! The one caveat here is to make sure that you follow the grant guidelines. In most cases, government grants preclude you from communicating with the granting agency beyond asking clarifying questions related to the application. You may need to cultivate these relationships when there is not an open grant application. Always follow the grant guidelines to ensure that you do not disqualify your organization from submitting a grant application! 5. Submit: Winning grants involves submitting grants! You will want to carve time out of your schedule to regularly work on the items above and submitting grant applications. In this blog, we discussed the low success rate of grant writing. 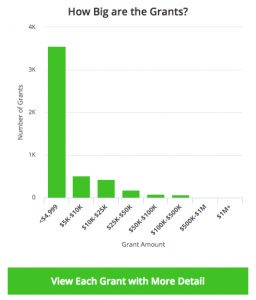 Some studies suggest as low as 7% of organizations receive funding after submitting a grant proposal. While there is no silver bullet, we have found that following the steps above gets you on the path to success. 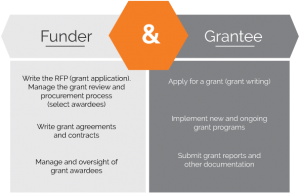 At Transform Consulting Group, we understand the different types of funders and their grant application process. We know what funders want and how to interpret and follow complex federal, state, or private grant applications. We are available to support your efforts at all levels of grant development, including the strategy, research, narrative, and final submission. Contact us today and let’s chat! Nationally, there are more than 2.3 million low-income 16-24 year-olds who are not pursuing education, employment or training. In communities across the country, there are less young people who are educated, high skilled, and actively employed contributing citizens. This means communities are limiting their growth potential, and young people are limiting their possibility. This is where the national program, YouthBuild, can be a solution. Through YouthBuild programs, young people earn their education, learn construction skills and gain skills needed for future, long-term employment. The youth work with partners to build affordable housing in their neighborhoods as well as other community assets like schools, playgrounds, and community centers. As a result, the YouthBuild program has a ripple effect in communities by not just helping the youth, but the individuals and families getting access to affordable housing and the communities gaining important infrastructure as well as a skilled workforce. YouthBuild formed a partnership with AmeriCorps, so many of the YouthBuild program sites are able to obtain valuable education awards for postsecondary education. In addition, the AmeriCorps program helps young people develop an identity as a community leader and active citizen in giving back to their communities. Research on the program has shown positive outcomes for the youth participate in the program. YouthBuild programs lower recidivism rates by 40 percent. For every dollar invested in YouthBuild produces a return on investment of $7.80 up to $43.90. For the past twenty years, YouthBuild has become a model program funded by the U.S. Department of Labor through a competitive grant process. The US Department of Labor just released the grant application for the next round of funding for YouthBuild grants and below is more information to know about the grant. Grant applications are due May 9, 2017. Eligible applicants are public or private non-profit agencies. Individual grants will range from $700,000 to $1.1 million and require a 25 percent match from applicants, using sources other than federal funding. For a more complete list of eligibility requirements and application details, download the Grant Opportunity Package here. Transform Consulting Group has helped organizations apply for and receive federal grants. We use our program development and research and analysis services to help write a compelling grant proposal for our clients. If you are interested in moving forward on this grant or other grant initiatives, contact us today for a free consultation. The American Honda Foundation was established in 1984 by the American Honda Motor Company to celebrate it’s 25th anniversary of operation. Since it’s inception, the American Honda Foundation has given over $32 million to organizations across the United States. Eligible organizations must help to meet the needs of Americans in the areas of scientific and youth education. 501(c)(3) nonprofit organizations, public school districts and elementary schools are eligible to apply for American Honda Foundation grants. However, any organization must have at least two years of audited financial statements available. Interested applicants can apply online by first completing an eligibility quiz. Grants are accepted throughout the year in different quarters, for a schedule of due dates and reviews, visit the website. 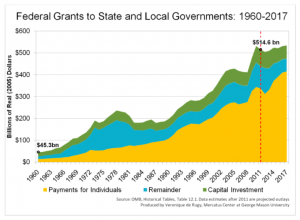 Grants range from $20,000 to $75,000 over a one-year period, and can only be applied for one time within a twelve-month period. Any applicants that request less than $20,000 will not be considered for funding. 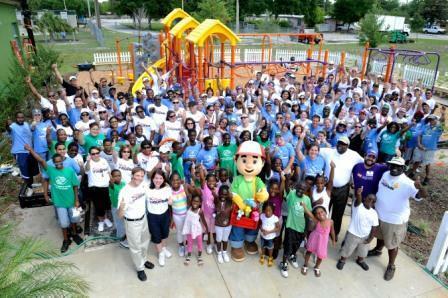 Over the past five years, the American Honda Foundation has distributed approximately 27 grants per year. Transform Consulting Group has helped organizations across the state of Indiana apply for local and nationwide grants. For help with your latest grant-writing project, contact us today for a free consultation! 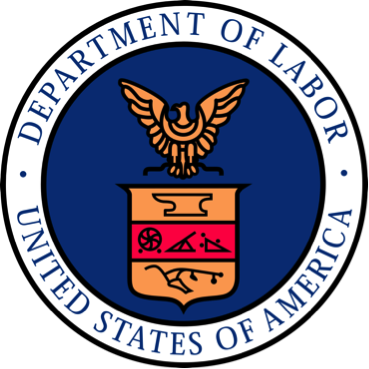 The U.S. Department of Labor has recently announced the winners of a new grant program that awarded $175 million to 46 public-private business partnerships in September of 2015. The American Apprenticeship Grant Program was created with the intent of increasing the development of apprenticeship programs across the United States. Launch apprenticeship models in new, high-growth fields to equip workers with advanced skills like data analysis, mechatronics, and behavioral health assessment. Align apprenticeships to pathways for further learning and career advancement such as embedding industry-recognized skill certifications or rewarding workplace learning with college credit. Scale apprenticeship models that work to create more access to apprenticeships in more areas of the country, to more diverse populations. The American Apprenticeship Grant Program will create more opportunities for hard-working Americans to acquire the skills they need to succeed in good jobs that are available now. Click here for a list of programs underway in cities and states across the country. Transform Consulting Group applauds this initiative to strengthen the American workforce through on-the-job learning. Transform Consulting Group has experience helping organizations submit successful college and career-readiness program grant applications. Let Transform Consulting Group help your organization fund with federal dollars today! Childhood obesity rates have tripled since 1980 and stayed the same for the past ten years. The average child spends nearly 75 hours a week immersed in various forms of media. With fewer children playing outside and a rise of childhood obesity, many organizations are taking steps to change this trajectory. Build it with KaBOOM! Grants: Provides planning grants to design your playground and funding to then transform the space. The grantee will be provided with a Project Manager, funds, resources and tools to assist community officials in designing and building a playground that is unique to the community. 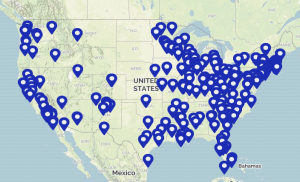 Build it Yourself Grants: Offers $15,000 grants to help community organizations purchase playground equipment and complete the assembling process on their own with remote assistance from KaBOOM!. Creative Play Grants: Enhances existing play spaces through creativity, communication and collaboration in play. Each KaBOOM! grant has a set of requirements that must be met before the applicant can apply. For further information on grant requirements, review the grant application guide. For information on additional playground grants, check out these resources that KaBOOM! highlights on their website. Transform Consulting Group assists organizations with assessing their current funding and identifying new revenue opportunities. To learn more, contact us today for a free consultation! 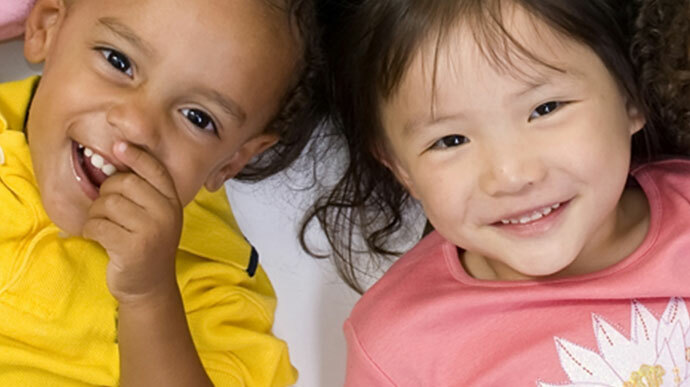 This blog is part of a series highlighting federal programs that support children, families and communities. The United States Department of Agriculture’s Farm to School Grant Program was created with the purpose of assisting eligible programs in creating a farm to school program to improve access to fresh, local food in schools. Managed by the U.S. Department of Agriculture’s Food and Nutrition Service, the Farm to School Grant Program not only promotes the use of farm fresh foods, but also provides education and awareness about healthy eating for children and educators. Support Service Grants: Intended for local and state agencies, agricultural producers, Indian tribal organizations and other non-profit entities (aka, the “intermediaries”) to further develop and provide support for the Farm to School programs. Implementation Grants: For schools to help further develop existing Farm to School programs. 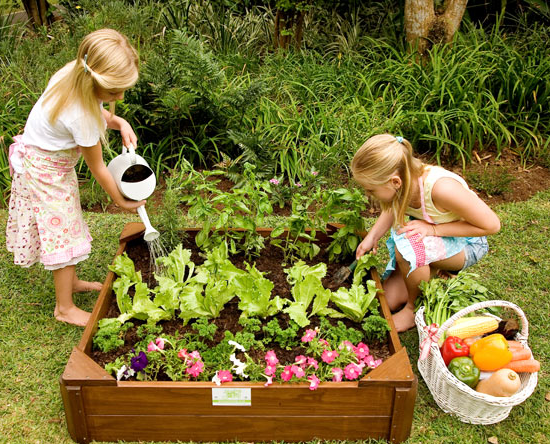 Planning Grants: For schools who are getting started to develop and structure their Farm to School Program. Training Grants: Intended for local and state agencies, agricultural producers, Indiana tribal organizations and other non-profit entities to help in training individuals in technical assistance and the strengthening of local food systems. Implementation and support service awards range from $65,000 – $100,000; Planning awards range from $20,000 – $45,000; and training awards range from $15,000 – $50,000. Matching funds of 25% are required for all four grant types. The Farm to School program has already reported success. In the 2011-2012 school year, the Farm to School program helped approximately 40,328 schools, totaling 23,513,237 children across the nation. In Indiana, 655 schools (representing 402,732 children) participated in the Farm to School program in the 2011-2012 school year. While the FY 2016 grant application deadline has already passed, information about the next grant round can be found on their website or by signing up for the Farm to School Newsletter. Transform Consulting Group applauds programs encouraging healthy and positive child development as well as school-community partnership. For more information about our program development and grant writing services, contact us today!